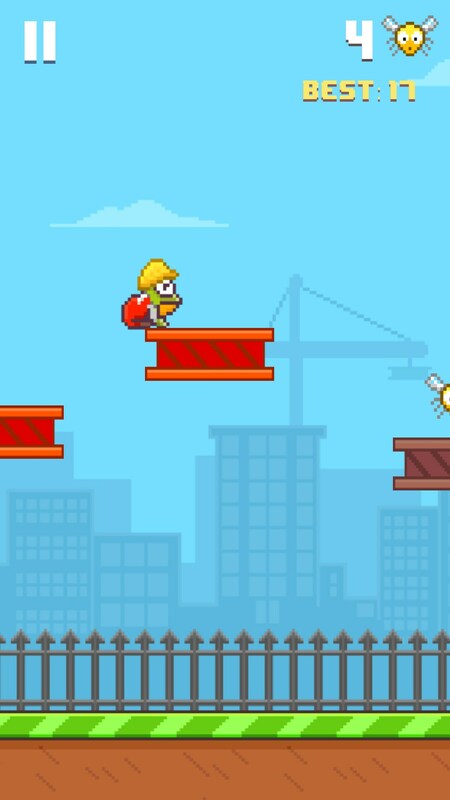 Hoppy Frog 2 - City Escape – Games for Android 2018 – Free download. 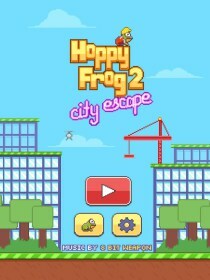 Hoppy Frog 2 - City Escape – A delightful timekiller game. 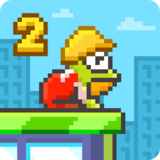 Hoppy Frog 2 - City Escape for Android is a delightful timekiller game that features very easy controls. 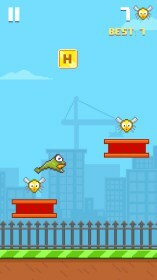 In this game, you must hop across platforms, dodge obstacles and collect flies for points. Just like many other timekiller games of this nature, you can keep playing this game until your character dies, and at this point you are shown your high score, and you can quickly start a new run. The controls in this game are pretty simple. 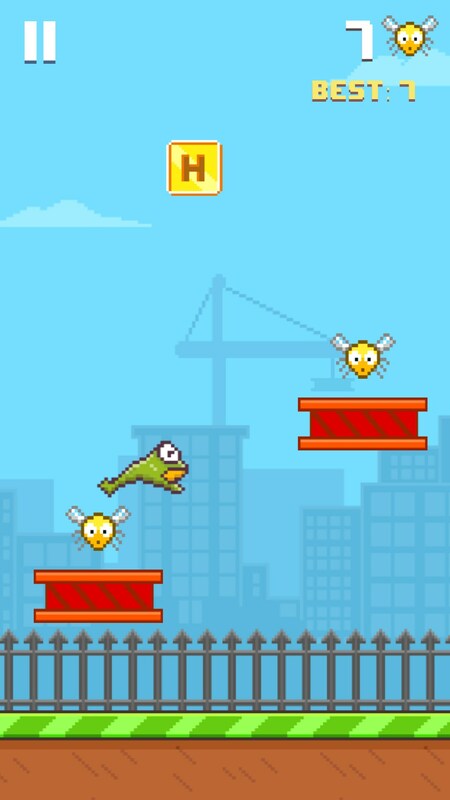 Instead of on-screen buttons, you can tap to make your frog jump, and tap again once in mid air to deploy a parachute. 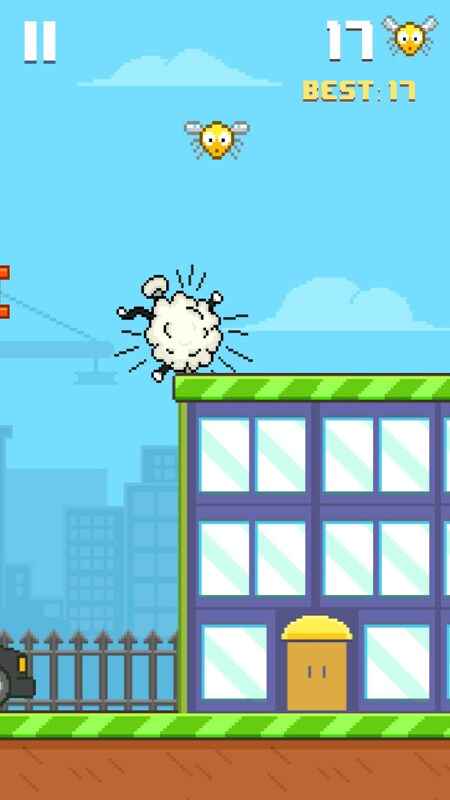 The parachute allows your frog to get a little further than a standard jump. 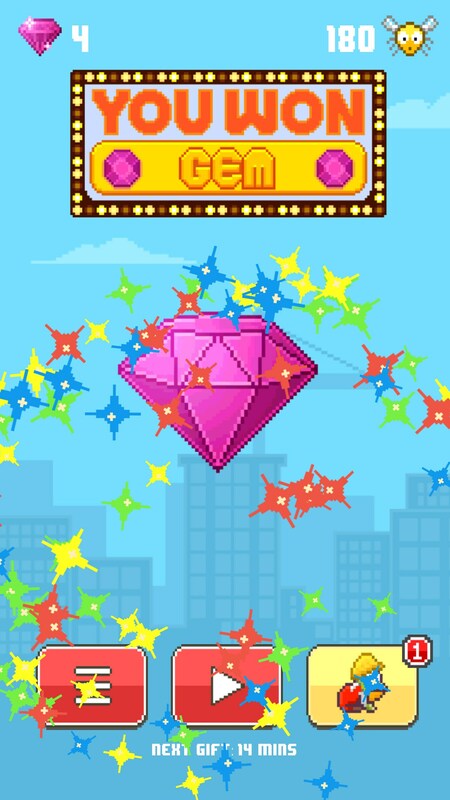 The standard obstacles in this game move left to right or up and down, and you will need to time your jumps carefully to make it to each platform. Some platforms fall down if you stand on them for too long, and if you don't jump quickly enough, the police will catch up to you, and shoot you out of the sky. I'm not sure why the police are being so aggressive towards a little frog trying to fill his stomach with flies, but it makes for a funny, extra challenging experience. There are plenty of flies across the game, and picking these up will reward you with points. You can spend your flies in the store on new character skins. All of the skins purchasable with flies are strictly cosmetic, but you can use another currency, which can be purchased with real cash or earned through the daily spin system. 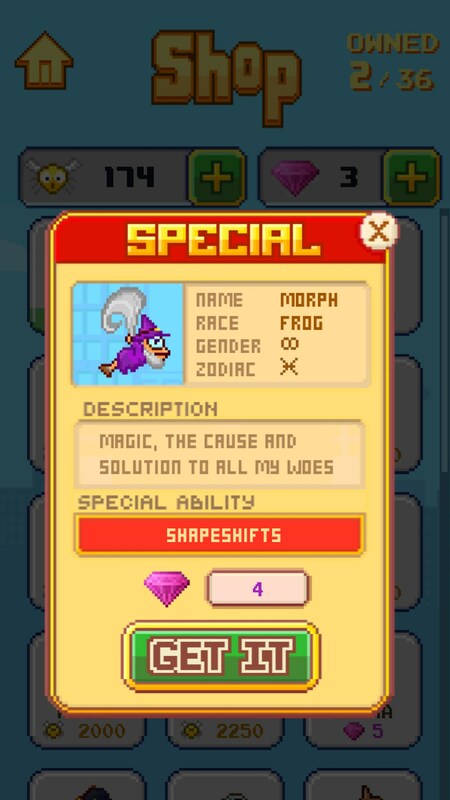 This second currency can be used to purchase new skins that have special abilities, such as larger jumps. Whilst this feels a little unfair for non-paying players at first, you can easily amass enough free gems each day just by using the free daily spin system. I actually managed to buy my first ability skin as soon as I played the game. 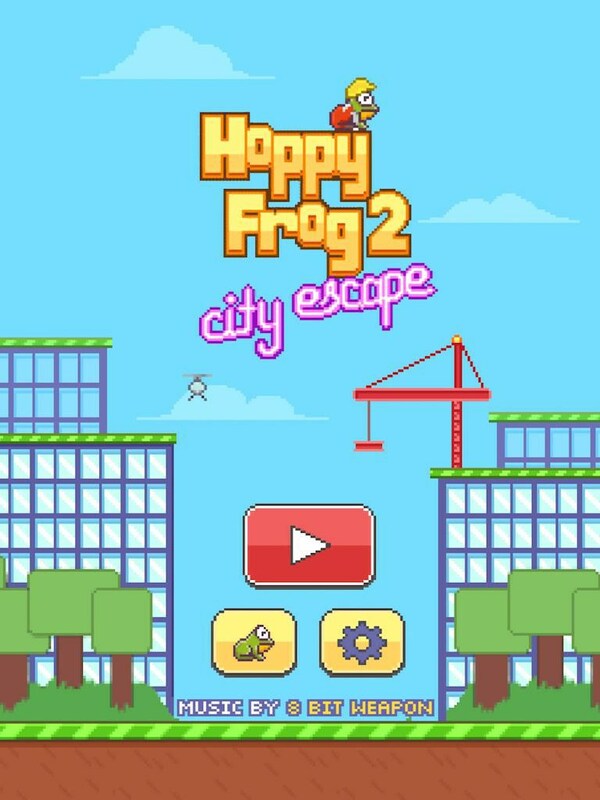 What I really like about Hoppy Frog 2 - City Escape is it's great 8 bit graphics which are paired with a retro style soundtrack. This game is completely free to play, so it's definitely worth a look if you enjoy timekiller games.